Whether you want to advertise within our industry magazines or on our website, you’re spoilt for choice with InterGame. The leading international monthly publication covering the coin-operated amusements and gaming sectors. 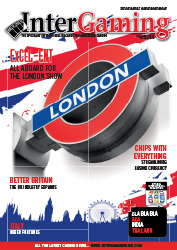 The world’s leading international magazine for the worldwide casino industry, published in print and digital format. 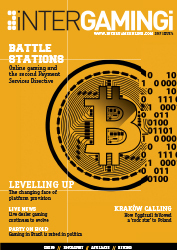 Packed with all the latest news and analysis, iNTERGAMINGi is the definitive magazine for the online gaming sector. 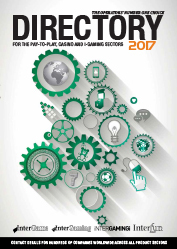 Used all year by operators, this A5 directory contains hundreds of contacts for coin-op, casino and iGaming suppliers. Breaking and exclusive news and opinion from the coin-operated amusements, casino gaming and iGaming sectors. An international publication featuring all the latest innovations in amusements for children. Aimed at FECs and other amusement spaces worldwide, it covers the indoor play, edutainment, outdoor adventure and simulation sectors. Distributed globally in print and digital formats. An online hub where buyers meet sellers. This online community for the coin-operated amusements sector is produced in association with InterGame. A twice-weekly e-newsletter featuring with all the latest news from the coin-operated amusements, casino gaming and igaming sectors. Target the coin-operated amusements or casino gaming sector with the InterGame or InterGaming wallplanner. 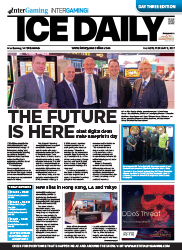 The only tabloid rounding up daily news from the ICE Totally Gaming show and distributed each show day within the exhibition hall.